One of the greatest addition to technology in today’s generation is the 3D printer. The machine has helped professional builders, artists, industrial and manufacturing sectors in every way possible.One of the great features of creating materials from 3D printers is when the design is paired up with electronic gizmos to make it perform and do tasks independently. A 3D printer designer that is based in Portugal has just released his recent project that is dedicated to creating a smartphone-controlled 3D printed vehicle. Aldric Negrier developed the DriveMyPhone concept six years ago, and the design is expected to travel around land, air and water. The technology was not dormant during the six years because it was already in the digital form last 2010 and Aldric was already sending models to two design competitions in Portugal. The long wait may be very critical whether the project can even see the light of day but all of the setbacks were worth it. 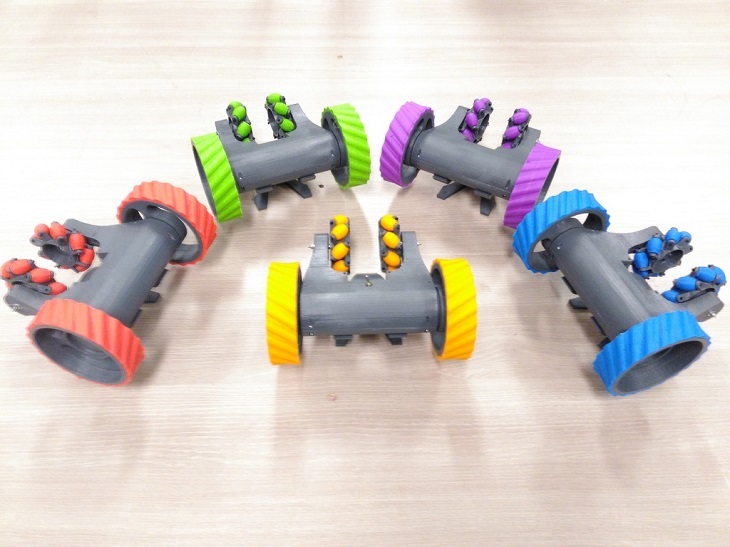 Moreover, after winning the two design competitions with the 3D printed gadget, Aldric admitted that the project may have lost its magic because of the long wait. That, later on, changed as there were early positive responses since it arrived on the Instructables. It just shows that the today’s generation might be interested in owning DriveMyPhone. Moreover, the concept is to have a device that can be controlled by any smartphone device and it has the capabilities of traveling through land, water, and air. Controls may vary via Bluetooth or have another gadget mounted on it for remote access. The device is fully modular which means that people can attach certain upgrades to enable it to do certain tasks such as cleaning house. The release and popularity of drones last year clearly suggests that people are interested when it comes to remote controlled devices with camera features. This is where the 3D printed device comes in with all of the qualities an RC vehicle should have. The invention can be modified to a hybrid drone, vehicle, and boat which makes it very attractive in the market. However, Aldric also said that he is still on the verge of perfecting the flying system for the device. He claims that the invention is a work of art and at the same time creates a challenge to robotic experts and engineers. Aldric also wanted the final product to have freedom of mobility in any environment by using tracks or omni-wheels while on land, hollow wheels for floating and an attached propeller for flight. 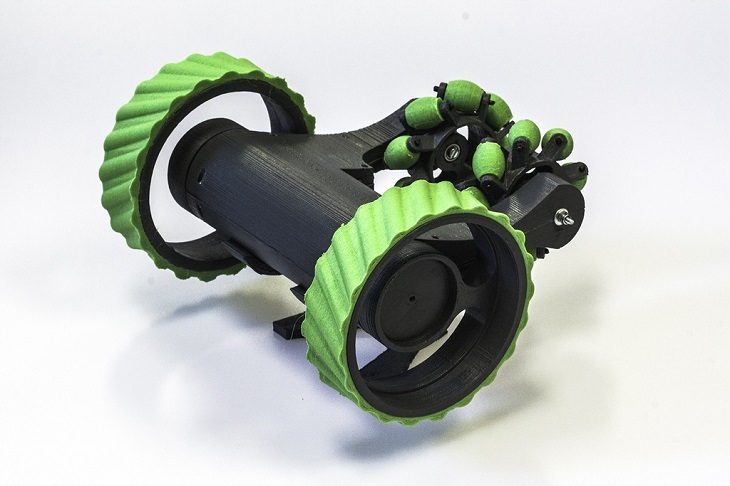 Aldric Negier used the 3D printer to create such versatile wheels and used a more rigid part for the 3D printed vehicle while using PLA. The required 3D printer to create the components should have a build volume of at least 150x150x150 mm. 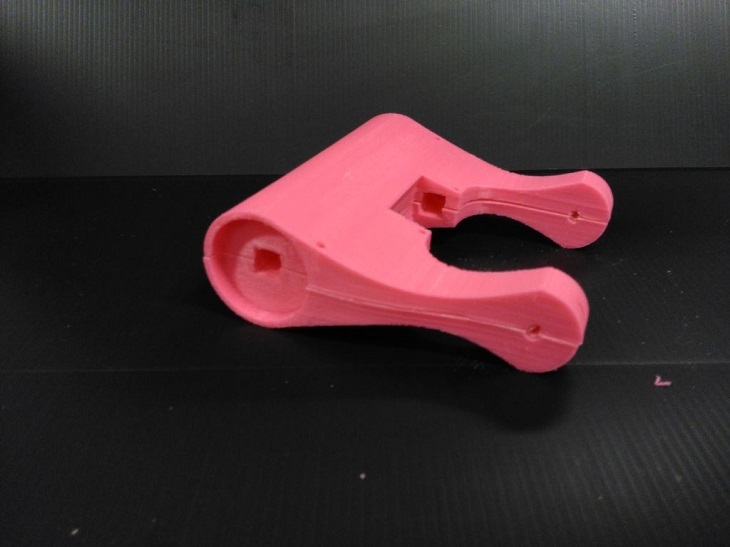 Aldric also used 400g of PLA and 100g of flexible filament to create components with 20% infill. 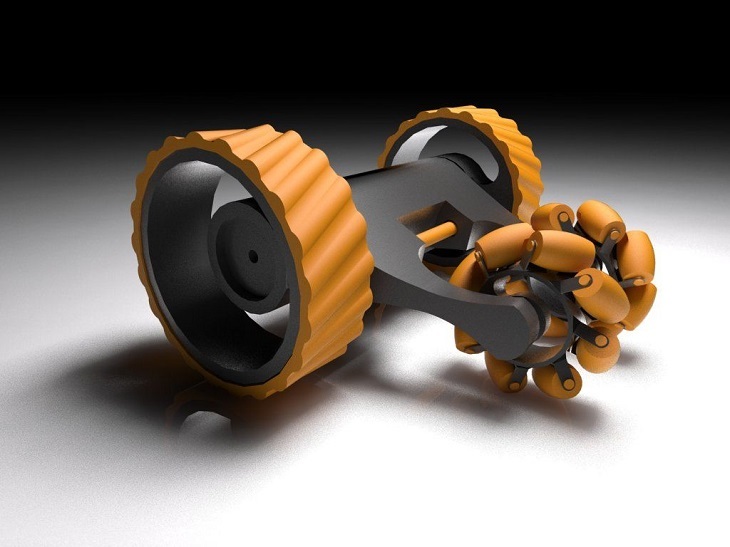 He also added that using ABS materials can also work on the production of the 3D printed vehicle.